Sonda ultrazvuková - GT22HW-TM s napájacím (9m) káblom, montážna sada na zrkadlo alebo telo elektromotora. GT22HW-TM transducer is perfect for freshwater fishermen who want CHIRP traditional sonar and CHIRP DownVü scanning sonar. 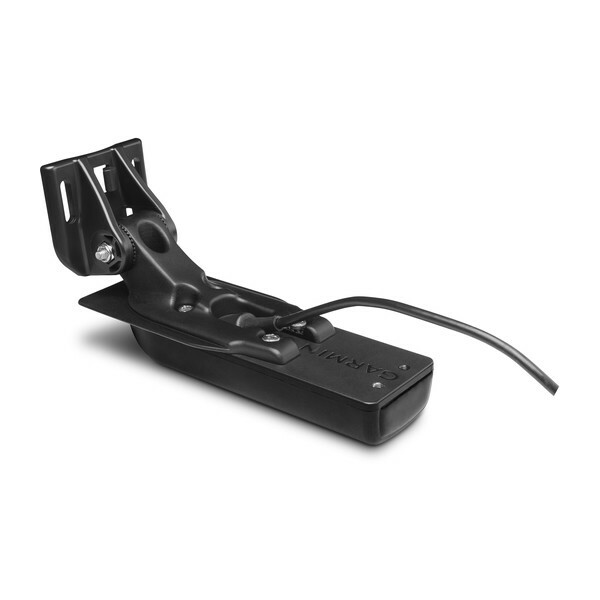 This transom or trolling motor mounted transducer consistently displays clear and crisp fish arches with superior target separation as well as clear definition of structure below the boat. The 8-pin transducer features high wide band CHIRP traditional sonar (150-240 kHz) and has a power rating of 250 W. The CHIRP DownVü (455/800 kHz) element has a power rating of 350 W.
GT22HW-TM is ideal for mounting to a trolling motor due to its compact size. For installation, follow the included instructions carefully to avoid damaging your boat.